Some opposition parties have expressed reservations about the use of EVMs, alleging that they can be tampered with. The opposition parties are trying to forge state-specific anti-BJP alliances and not a grand coalition at the national level, NCP president Sharad Pawar said on Friday. Earlier this month, Telugu Desam Party supremo Chandrababu Naidu had met Mr Pawar and National Conference president Farooq Abdullah in Delhi, as part of his efforts to build a pan-India alliance to take on the BJP in 2019 Lok Sabha polls. "We are not trying to make a nationwide mega alliance. Our effort is to form state-wise alliances, giving primacy to the major political party in every state. "For this, we are going to meet in Delhi on December 10. The issue of use of electronic voting machines (EVMs) would also be discussed in the meeting," he said. Asked about the decision of the West Bengal and Andhra Pradesh governments to withdraw the "general consent" to the CBI, Mr Pawar said, "If the BJP-led central government continues misusing the CBI, then other states may also follow the suit." Speaking about the country's economy, he said the situation was grave. 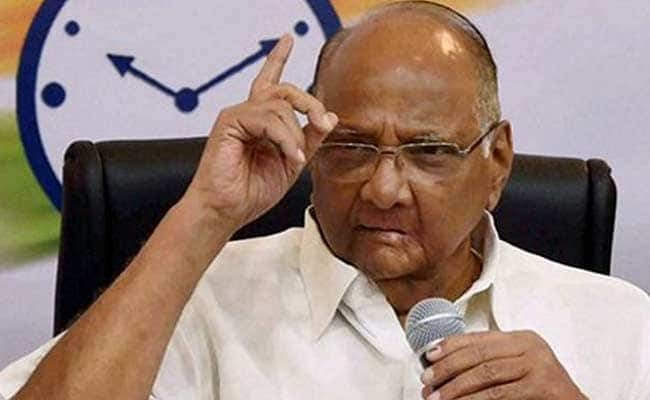 "The economy is in a dire condition due to the unwise decisions taken by this government....Policy of encouraging foreign firms to produce defence equipment is also dangerous," Pawar, a former defence minister, said. On the issue of Ram temple, he said, "There is no development to speak of, so the BJP is trying to use the temple card in the upcoming elections."